Is it too early to talk about Whales? I guess it’s not. 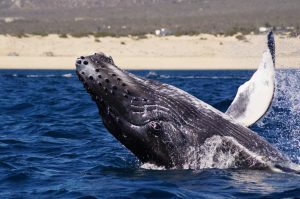 In fact Humpback Whales have for sure already left the cold waters of Alaska to undertake their, over 5.000 miles, journey towards the Baja California Sur Peninsula. 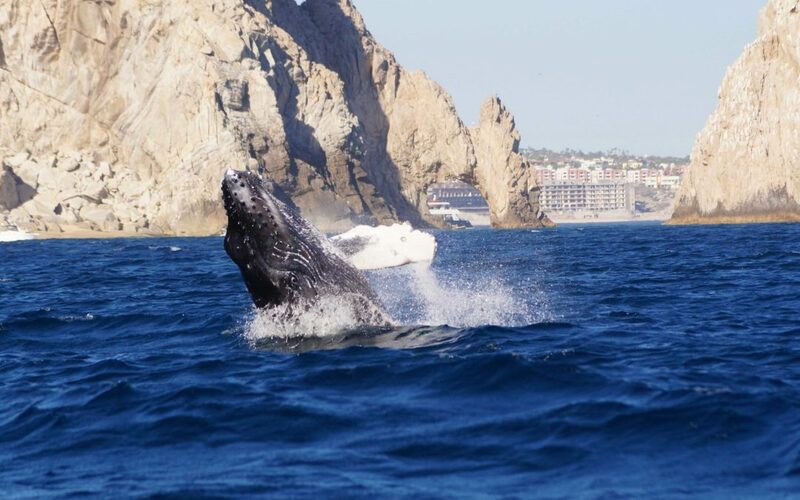 And for us at Cabo Trek it’s never time to stop talking about the whales, not even in the off season which is the time we use to prepare for the upcoming season. So back to the Whales: we are very curious about what we are going to experience this year. For the past 3 years we experienced increasingly warmer waters each year, and the last season we reached the peak of “El Nino”, it was an incredible season! Although we did see less Humpback Whales and less calves, in exchange we got to see a great variety of animals we usually don’t see, such as: Blue Whales, Sperm Whales, Gray Whales, Bryde’s Whales, Pilot Whales, Elephant Seals, Leatherback Turtles, and more. So our curiosity about what’s coming next is genuine! As “La Nina” , the opposite effect to “El Nino”, is now kicking in and will be a game changer in the waters of the Pacific Ocean. 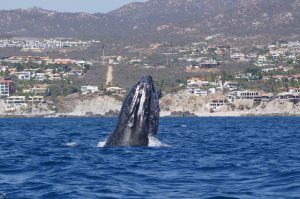 We are already seeing different activity during our snorkelling and diving tours so that we at Cabo Trek foresee an intense 2016/2017 Whale Watching Season in Cabo San Lucas and are counting the days. 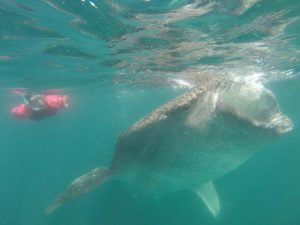 I also take advantage of this opportunity to announce the beginning of the Whale Shark Season in La Paz! Many have already been spotted and many more are on the way into the bay to start the feeding season. 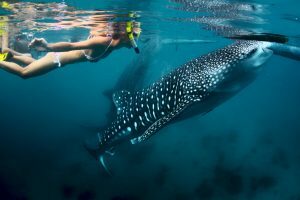 Our Marine biologist are eager to share with you as much knowledge and experience as possible. 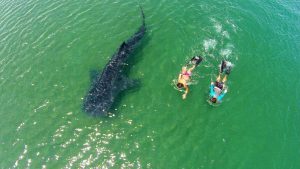 Ocean conditions are great these days and will be at least till the end of December: water is calm and clear, averaging 85 degrees F. (28 deg. C) water temperatures and 40ft (12m) visibility. If you decide to take on this adventure you may want to add an extra stop to Espiritu Santo Island to swim with the Sea Lions and rest on some of the most beautiful beaches of Baja California Sur. 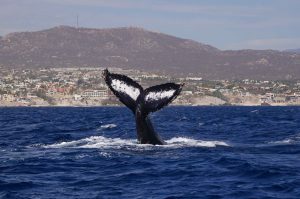 Not to forget: by any chance stop by the “Whale Museum” in La Paz, it’s a great opportunity to learn something new about all the different marine life that lives in Baja California Sur. 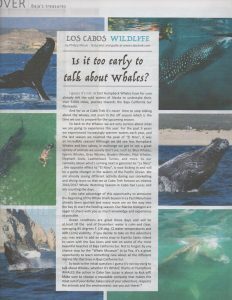 So back to the initial question: I guess it’s not too early to talk about Whales, whether it’s WHALE Sharks or Humpback WHALES the action in Cabo San Lucas is about to kick off! Make sure to choose a reputable company that makes the most out of your dollar, takes care of your adventure, respects the animals and the environment: see you out there! jesse wright on What a Day!